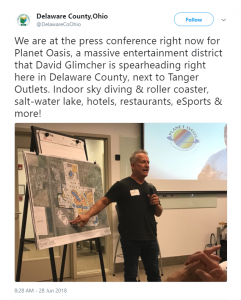 DELAWARE, OH- According to Delaware County, a giant entertainment district is reportedly coming to Delaware County, next to Tanger Outlet Mall. 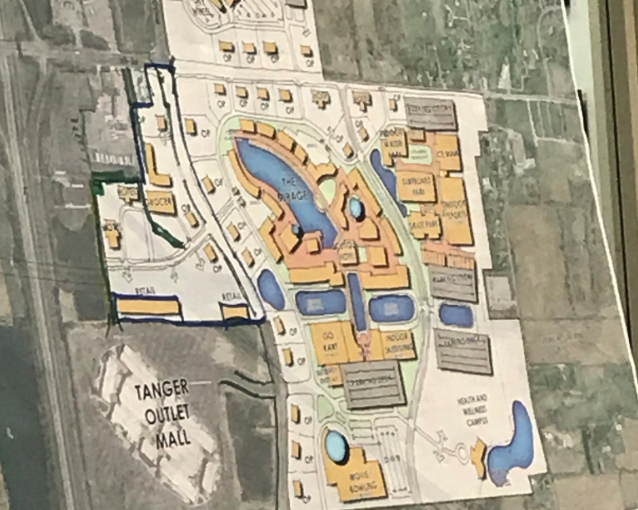 The Delaware County Twitter page released some information Thursday about the plans for “Planet Oasis” while at the press conference to announce the project. “David Glimcher is spearheading right here in Delaware County, next to Tanger Outlets. Indoor sky diving & roller coaster, salt-water lake, hotels, restaurants, eSports & more!” said the county’s Twitter page.